Shiraz E-Medical Journal - Can the Modern Methods of Education Be a Good Alternative for the Traditional Method in Educating Pregnant Mothers? Can the Modern Methods of Education Be a Good Alternative for the Traditional Method in Educating Pregnant Mothers? To Cite: Rajabi Naeeni M, Lotfi R, Farid M, Tizvir A. Can the Modern Methods of Education Be a Good Alternative for the Traditional Method in Educating Pregnant Mothers?, Shiraz E-Med J. 2016 ; 17(12):e40183. doi: 10.17795/semj.40183. Background: Maternal mortality is still one of the most important health challenges and considered as a global indicator. One of the effective strategies to reduce this indicator is prenatal education regarding the danger signs during pregnancy and postpartum through the use of appropriate methods of education. Objectives: The aim of this study was to compare the effect of education using multimedia software and face to face education on pregnant women’s level of awareness about the danger signs of pregnancy and postpartum period. Methods: The present study was a quasi-experimental research in which, 120 primigravida mothers who referred to the health centers in the city of Karaj were randomly divided into 2 groups. The first group received face to face education on the danger signs of pregnancy and postpartum period while the second group received their education through a compact disc (CD). Data were collected using a two-part questionnaire including; 15 demographic variables and 27 items about the danger signs of pregnancy and postpartum period. After ten weeks of intervention, the posttest was taken and finally the collected data were analyzed using SPSS software version 21. Results: Ten weeks after intervention, the mean awareness score of the two groups showed no significant difference, however, comparison of awareness score in each group before and after the intervention showed a statistically significant difference (P < 0.001). Conclusions: Both methods of education resulted in the same effectiveness in raising the awareness of pregnant women about the danger signs during pregnancy and postpartum period. However, by considering the time required for health care providers to conduct face to face education, it seems that multimedia software would be a good alternative. The maternal mortality ratio (MMR) due to complications of pregnancy and delivery is the most important indicator that reflects the country’s development. The reason behind is the fact that this indicator is the sensitive indicator of women’s status in a society, the access to care, adequacy and quality of health care and capacity of the service provider in response to their needs (1). For this reason, in 1990, countries worldwide made a commitment based on the millennium development goals to reduce maternal mortality by 75% in 2015. A report published by the world health organization in 2013 stated that 289,000 women worldwide die due to complications of pregnancy and childbirth (2). In this regard, the rate of maternal mortality in Iran according to the report given by the ministry of health has decreased from 27.4 cases per 100000 live births in 2002 to 19.7 cases in 2013. Although Iran has obtained huge achievements in the last 10 years in relation to the MMR reduction, since majority of these deaths are preventable, maternal mortality is still considered among the most important challenges in the health system. Mortality surveillance system questionnaire showed that 32% of pregnancy-related mortality, 8% mortality during delivery, and 8% postpartum-related mortality were due to the mother and family’s inattention to the occurred danger signs; for this reason, education is vital in this regard (3). Results of studies conducted in many developing countries have shown that the level of mothers’ awareness about the danger signs of pregnancy and postpartum was very low and in most cases educational methods implemented by care providers were not appropriate for these clients (4-7). Also, results of these studies indicated that there is a significant correlation between mother’s awareness and the use of prenatal care system. Researchers believe that encouraging pregnant women to use these services and mass media and other educational options will be effective in improving the level of mothers’ awareness (8). In this regard, Bartlett suggested that health education through increasing the person’s knowledge and attitude is a motivating factor that causes a change in the person’s health behavior, and the number and continuity of educational courses are effective in sustaining this behavior. It seems that one of the strategies recommended in reducing maternal mortality during pregnancy and after delivery, in addition to receiving the necessary care and supplements, is health education about the danger signs (9). Face to face education is one of the most common educational methods used in health care in which, training is done individually for a specific learner and provides an opportunity to bring up ideas and emotions in verbal and nonverbal exchange between learner and educator. Educating patients as a critical task of the midwives, obstetricians, and other health care providers is a time-consuming task and needs a trained provider as well as suitable setting. Well-informed pregnant women are more likely to become active patients to receive timely care. On the other hand, in recent decades due to the dramatic developments in information technology in all aspects of life, production and preparation of multimedia educational materials (multimedia) have been taken into consideration. Computer-based patient education can provide a more cost-effective method of educating patients (10). Multimedia education is one of the best methods of learning that provides huge amount of information with an appropriate variety all in a CD or DVD, which is capable of perfectly introducing the subject matter (11). In a study conducted by Keulers and colleagues aiming at comparing the effect of the two methods of learning including face-to-face and multimedia among patients with carpal tunnel syndrome, it was shown that patients who received education using CD had a higher level of learning compared to patients that received learning through face to face method (12). Also, results of a study conducted by Casazzo et al. indicated that the use of CD was helpful in increasing the level of information, social activities, and physical activities and reducing food consumption among US teens (13). A previous study also has shown that computer-assisted education using the ‘HEC’ multimedia application was as effective as the traditional face-to-face lecture method in improving patients’ clinical parameters (14). The present study conducted at the health centers of Karaj city aimed to compare the effects of face to face education and learning through multimedia on pregnant women’s level of awareness about the danger signs of pregnancy. This study is a quasi-experimental study which was conducted between 2014 and 2015. The study population consisted of pregnant women referring to health centers in Karaj city. The sample size was calculated based on statistical power 80%, confidence interval 95%, attrition 20%, and the rate of effectiveness obtained for the methods of education in similar studies (12). Sixty participants comprised a group to receive face to face education and another 60 participants were selected for the group receiving education through multimedia software. For sampling, initially, the list of all health centers in Karaj was obtained and 6 health centers were selected through random sampling. Selection of subjects from the selected health centers was done by convenience sampling (20 to 30 pregnant women per each center) and finally 120 pregnant women were enrolled in this study (Figure 1). Inclusion criteria for this study were; primigravida, gestational age of 6 - 15 weeks, having at least a secondary education, having access to computer and/or being able to use the computer and/or having access to someone who can help the mother with using the CD player, and having no history of attending any previous formal class regarding the danger signs of pregnancy. Exclusion criteria were; not participating in education of CD-ROM content in the computer center, termination of pregnancy and experiencing complications of pregnancy anytime during the study. All sessions of face to face education were performed by a midwife. The participants were provided with written informed consent before the beginning of the intervention and signed a consent form. The tool used to collect the data was a questionnaire consisting of two parts. The first part involved demographic information including; age, education level, employment status, gestational age, duration of marriage, etc. The second part contained 27 questions of which 12 questions relating to the danger signs of pregnancy, 8 questions concerning the danger signs of the postpartum period, 6 questions concerning the most common causes of maternal mortality, and a question about how to deal with the danger signs. Correct answers were given a score of 1 while wrong answers and or “I don’t know” were given a score of zero. High scores would indicate the greater awareness on the danger signs of pregnancy and postpartum period. The knowledge questionnaire was prepared after reviewing books and articles related to the topic (1-10) and content validity was evaluated and approved after reviewing the opinions of 10 experts in health education and health promotion as well as experts in maternal-child health care by assessing the content validity ratio (CVR) and content validity index (CVI). In order to evaluate the questionnaire qualitatively, content validity was assessed with the participation of 10 experts in research in the field of maternal health and then, the required modifications were implemented. The internal consistency of the awareness questionnaire (Cronbach’s alpha) was determined as 0.70. Mothers participating in one session of face to face education that lasted for 45 minutes were educated on the danger signs during pregnancy, danger signs during the postpartum period, the most common causes of maternal deaths, and how to deal with the symptoms. The second group that received education through multimedia software was supplied with an educational CD prepared by the Ministry of health for the purpose of educating mothers. Both groups received similar educational content. After one week, group 2 was contacted through telephone to make sure that no obstacles they had experienced in the use of the CD. Finally, after 10 weeks of education and at the time of performing subsequent care, post-test questionnaire was completed by participants in both groups. Data were analyzed using SPSS version 21. The scientific research committee and the ethics committee of Alborz University of Medical Sciences approved the study. The approved project number is 2274613 at Alborz University of Medical Sciences. The mean age of the participants was 23.37 (± 4.39) years with the mean gestational age of 9.4(± 2.62) weeks and the mean duration of marriage of 24.1 (± 18.59). More than 96% of participants in both groups had wanted pregnancies. The majority of the subjects in face to face education (33.3%) and education using multimedia software (45%) groups were high school graduates. The majority of them (47.5%) stated that they prefer to obtain information regarding health matters from the health centers. The demographic characteristics of the participants are shown in Table 1. No statistically significant differences were observed in the age, gestational age, duration of marriage, and other variables between the two groups (Table 1). Results revealed that the effectiveness of both educational methods was highly significant in increasing maternal awareness about the danger signs (P < 0.001) (Table 2). Table 3 shows that there were no significant differences between the two groups in terms of awareness score of danger signs of pregnancy, postpartum, and the most common cause of maternal death. A statistically significant difference was also observed before and after interventions regarding knowing the time of referral to a doctor or midwife after observing the onset of danger symptoms in both groups; face to face education (P = 0.004) and education through multimedia software (P = 0.03). The results of the present study indicate that both methods of education, i.e. the use of multimedia software and face to face education, are effective in increasing mothers’ awareness about the danger signs during pregnancy and after childbirth and the most common cause of death. In the initial phase of the study, the level of awareness of the majority of the study population was less than 50% of the maximum score which is consistent with the results of a study conducted by Anya and colleagues in Gambia and another one conducted by Pemba and colleagues in Tanzania (5, 6). Also in this study, the face to face method showed a significant effect in promoting mothers’ awareness. This finding is consistent with the finding of Bahadoran et al. study conducted to determine the effect of face-to-face or group education during pregnancy regarding sexual function of couples showing that education by both methods was effective in sexual function of women (15). In this study, learning through multimedia educational software indicated a statistically significant effect on increasing pregnant women’s awareness. Results of previous studies also have demonstrated that individuals who were trained using the CDs were more competent and had higher levels of awareness regarding low fat diet in comparison with the control group (9, 12). It can be concluded that with the advent and spread of computers and the expansion of information and communication technology, multimedia can be used to increase public awareness and attitudes in various fields related to health behaviors. This issue can facilitate health education in case of lack of access to face-to-face education environment (16). Therefore, face-to-face education can be replaced by multimedia that may be more easily implemented. On the other hand, the shortage of health care workers can affect the capacity of health education. Based on the findings of this study, comparing the effect of these two methods of education about the danger signs of pregnancy, postpartum period and the most common causes of maternal deaths indicated no significant difference. In other words, using any of these methods is effective to the same extent in increasing the pregnant mothers’ awareness. 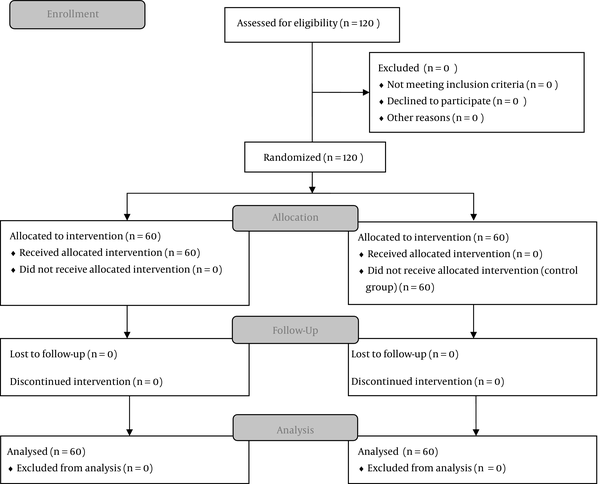 In this regard, findings of a study conducted by Bahadoran et.al showed that both methods of computer-based education and face to face education were equally effective in promoting patient’s adherence to their diet after myocardial infarction (15). Also, results of another study conducted by Casazza and colleagues indicated that education through either computer-based or face to face methods was equally effective in increasing the adolescents’ level of information, social activities, and physical activities and reducing the consumption of foods (13). Other studies also found similar results (14, 17, 18). However, the study conducted by Keulerse et.al. among patients with carpal tunnel syndrome in Netherlands showed that the level of knowledge on the group receiving education through computers was higher compared to the group receiving education through face to face method. However, in terms of the level of satisfaction, both methods were equally effective (12). The point that health care providers can educate pregnant women without the need for meeting them is promising, because in this way more time will be available to ask questions and attend consultation sessions. Results of this study was inconsistent with the findings of our study and it seems that learning through using computers is more interesting to this age group because learning is done simultaneously with images and animation; also, the memory retention with this method of education has improved with increasing age. What is obtained from the assessment of the above-mentioned studies suggests that among the studies conducted on the younger age group, both face to face and learning through multimedia software methods were equally effective in increasing the level of awareness; once an individual reaches middle age, face to face education showed to be more effective because this method is conducted through questions and answers that help resolve the ambiguities. In this study, the data were collected through a self-report tool that is a limitation for this study. Also, considering the cultural differences in the province of Alborz, the authors suggest that this study be conducted on larger samples and in other cities of the province in order to increase the generality of the findings. Although the study is not comprehensive, it can be an appropriate start point for measuring the effectiveness of traditional and modern education especially in concepts related to maternal health. The results showed that both educational methods are equally effective in promoting the knowledge of pregnant women about the danger signs during pregnancy and its complications in the postpartum period. The majority of participants have mentioned that the health center is their main source of information. However, since health workers are too busy to provide face to face education, the use of multimedia software as an appropriate alternative is suggested that can lead to a reduction in time and costs. It is worthy to note that this appropriate alternative should be supervised by health center personnel in order to promote the quality of services and improve maternal health issues and consequently reduce maternal mortality and complications effectively. The authors express their gratitude to the individuals who willingly participated in this study. Without them, this study would not be possible. Also special thanks go to Ms. Yalda Abdi for her help in our work. Authors’ Contribution: Masoumeh Rajabi Naeeni contributed to study design, data gathering and analysis, and manuscript drafting. Razieh Lotfi contributed to study design, manuscript editing, and critical discussion. Malihe Farid contributed to study design and statistical analysis. Afsoon Tizvir contributed to study design and critical discussion. All authors read and approved the final manuscript.